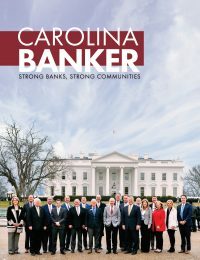 Carolina Banker, the quarterly magazine published by Community Bank Services, is the only publication in North Carolina that exclusively covers banks, savings institutions and trust companies as well as affiliated financial industries. 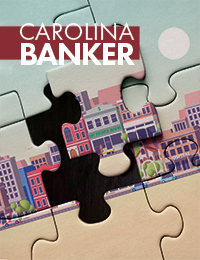 Because North Carolina businesses and our financial institutions share common ground, Carolina Banker is an advertising vehicle that produces significant results. 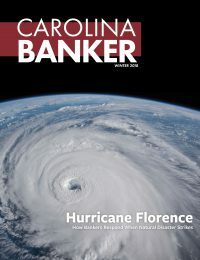 With a circulation of nearly 5,000, Carolina Banker reaches all financial institutions in North Carolina, their customers and their boards of directors – many of whom are community and business leaders. Regulatory agencies receive the magazine, in addition to the Association’s affiliate members consisting of attorneys; CPAs, mortgage bankers; consulting firms; investment bankers; insurance, securities, software and other finance-related companies. 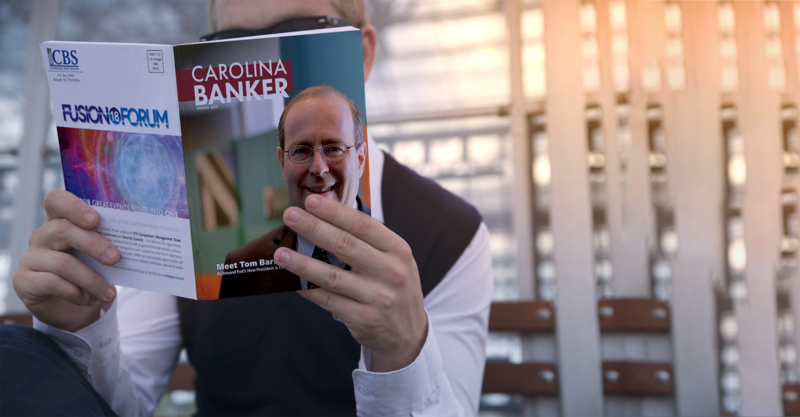 Carolina Banker is also distributed to every college and university in North Carolina, as well as the North Carolina General Assembly and members of Congress. Bank Directors Conference – A popular annual forum at which chief executive officers and their directors meet to discuss industry issues and trends with peers. Annual Convention – Attended by financial institution executives, directors and affiliate members. First Annual North Carolina Young Bankers (NCYB) Convention & The NC School of Banking – The North Carolina Young Bankers (NCYB) is a new group formed by the NCBA exclusively for up-and-coming bankers 45-years-old and younger. The first NCYB Convention will be held in Charlotte and attendees will be the next generation of bank leaders. 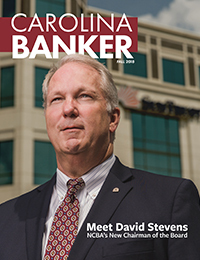 This issue will also be distributed at the North Carolina School of Banking, America’s oldest banking school, which is dedicated to making better bankers through academic discipline and real workplace skills training. Management Team Conference – Attended by financial institution executives, their management teams, and affiliate members. For information on subscribing to the Carolina Banker, please contact Scott Brownlow (984-344-9982 or scott@ncbankers.org) or Brianna Reeder (984-344-9990 or brianna@ncbankers.org).